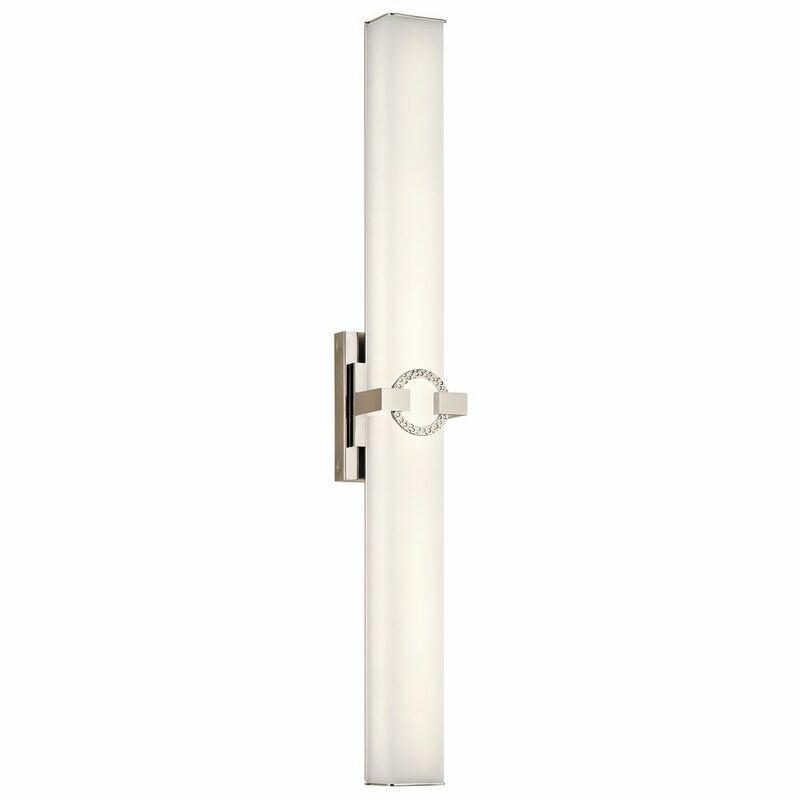 The following are detailed specifications about the Modern LED Vertical Bathroom Light Polished Nickel Bordeaux by Kichler Lighting. 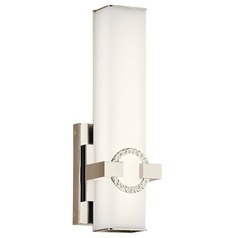 Modern polished nickel LED bathroom light with satin etched white glass shade. Includes three integrated LED modules that runs off of 38.5-watts, 2475 lumens, 3000K color temperature that is equivalent to 165-watt incandescent. Suitable for installation in dry and damp locations. 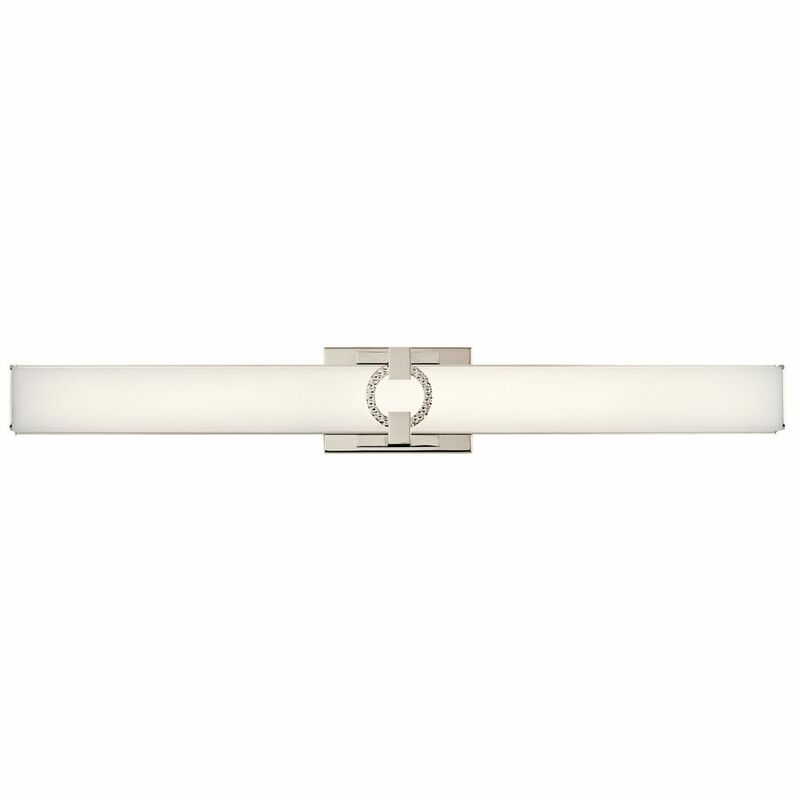 This bathroom light can be installed vertically or horizontally. 120 volts line voltage. ETL certified. 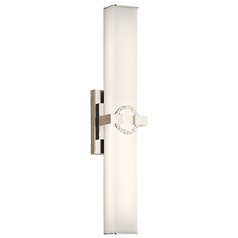 This Modern LED Vertical Bathroom Light Polished Nickel Bordeaux by Kichler Lighting is part of the Bordeaux Collection from Kichler Lighting. The following items are also part of the Bordeaux Collection.